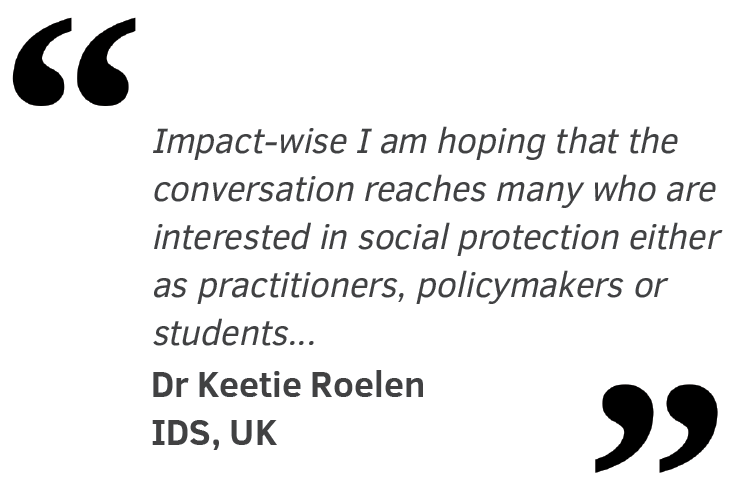 Ahead of a recent UNICEF ‘Tweetchat’ on child social protection, Dr. Mindel van de Laar caught up with alumna Dr. Keetie Roelen, who now works for the Institute of Development Studies (IDS) at the University of Sussex in the UK. Here’s what they had to say about the past, present and future of our global development work. 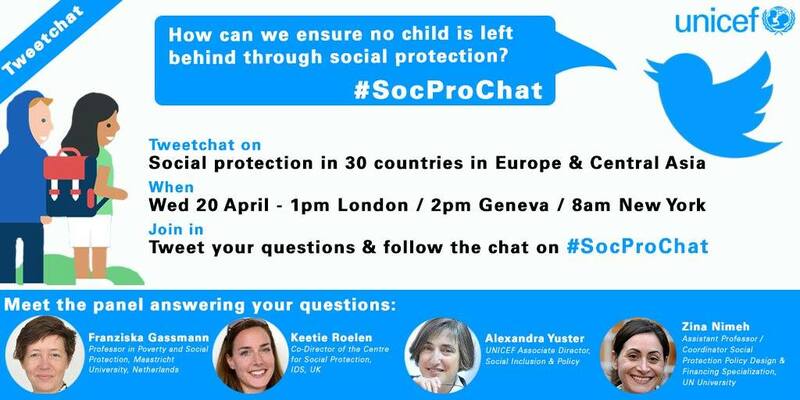 On 20 April you are taking part in a Twitter Q&A organised by UNICEF to answer questions on child social protection. What impact do you expect it to have? The ‘Tweetchat’ is a good way of engaging a wide audience across the world in questions related to child-sensitive social protection. Questions need to be short and to the point and so do the answers, so it allows for covering a lot of ground in a short period of time. Impact-wise I am hoping that the conversation reaches many who are interested in social protection either as practitioners, policymakers or students. If it helps to spread the word on the importance of social protection for reducing child poverty, that would be great. Your PhD was on child poverty, focusing mainly on Asia. But you are now more specialised in socal protection across Africa. How did this shift come about and what are your activities now? I have always had a strong interest in working in Africa. In fact, it was where my work in ‘development’ started. My Master thesis was on poverty and economic growth in Sub-Saharan Africa and after finishing my MSc I joined UNDP Namibia for an internship in their poverty reduction unit. It was only after returning to Maastricht that I started working on poverty and child poverty in Asia, for my PhD and for other projects. I have since come to love working in both regions, and I am fortunate that my current job at the Institute of Development Studies (IDS) in the UK has taken me to many wonderful places including Burundi, Ethiopia, Myanmar and Nepal. The exact geographical focus of my work may differ from time to time depending on the projects that I am working on. Currently these include a cash transfer evaluation in Ethiopia as well as training on social protection in the Philippines. 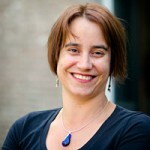 Your ‘Tweetchat’ will also feature our Prof. Franziska Gassmann and Dr. Zina Nimeh. This indicates you still have close working relationships. Can you tell us why and how you maintain connections? I am very grateful to the Maastricht Graduate School of Governance and my former colleagues for having provided me with the springboard into my career. During the five years that I worked there, I not only did my PhD but was offered many opportunities to do teaching, course coordination and consultancy projects. Franziska was not only my supervisor but also a close collaborator on many projects, as well as a cherished travel companion. This is a connection to savour and treasure! Despite no longer being at the same institute, fortunately there are many ways to maintain the collaboration; the Tweetchat is just one example. For any future fellows interested in a PhD in Social Protection, what are the most interesting areas to explore? In what ways do you see the field changing that might be interesting to study? KR: The field is moving from trying to make the case for social protection and proving that it works to finding out how to improve it and make it sustainable. There are big questions about how to create cross-sectoral linkages and how to scale-up and integrate programmes. The issue of political will and commitment in an era of austerity and widespread public perception of dependency creation is another challenge. This also links to questions of financing: how can social protection become less reliant on donor funding but still be domestically funded and truly nationally owned? These are difficult questions, but very important areas to explore!